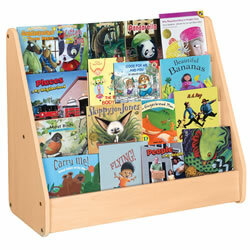 Four tiered shelves hold numerous books of various sizes, allowing titles to be easily seen and books easy to reach. Fully assembled. 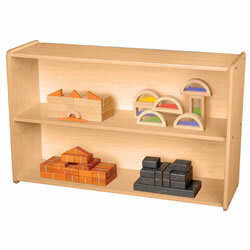 Measures 30"H x 36"W x 15"D. Books not included. 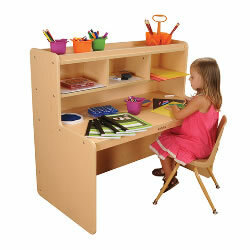 This writing center is large enough for 2 children or can be used independently as well. Plenty of space to store paper and writing supplies. Recommended chair heights are between 9 1/2" - 13" 1/2", sold separately. Fully assembled. 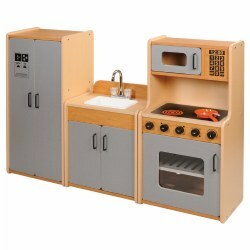 Measures 37 1/2"H x 41"W x 24"D. Contents not included. 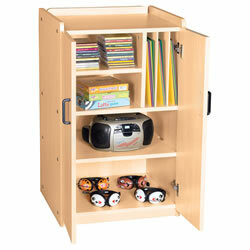 Protect and secure audio visual equipment and CDs in this locking mobile cabinet. Fully assembled, with minor caster attachment. 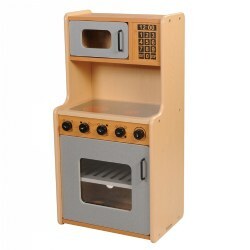 Measures 36"H x 22"W x 20"D. Contents not included. 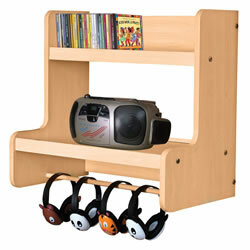 All-in-one storage for audio equipment, CDs, and other listening materials. Store headphones easily on fixed dowel rod. For proper installation, please refer to local building code requirements. Mounting hardware not included. Fully assembled. Measures 22"H x 24"W x 14"D. Contents not included. 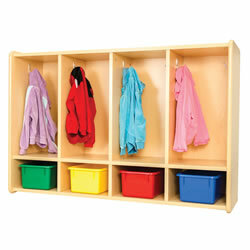 Promote independence with easily accessible child sized coat lockers! Each divided space has 2 rounded hooks for hanging. 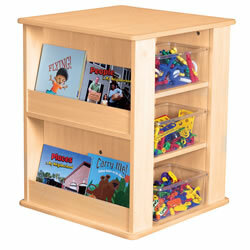 Cubbies on top and bottom provide extra space for belongings and parent communication. Fully assembled. 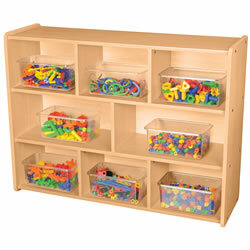 Measures 46"H x 60"W x 15"D. Bins sold separately. 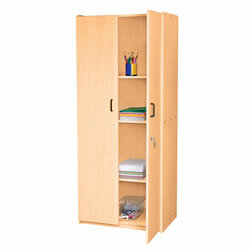 This locker is the perfect height for toddlers to store their personal belongings. 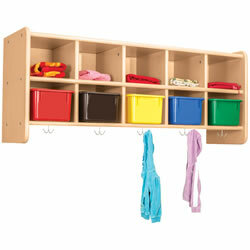 Each locker has a bottom cubby and 2 hooks in upper cubby. Fully assembled. 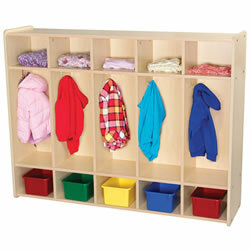 Measures 32"H x 48"W x 15"D.
Space saving wall storage for an infant toddler classroom. 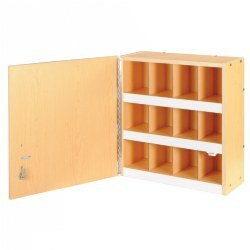 Perfect for storing diapers, diaper bags, coats and children's personal belongings. 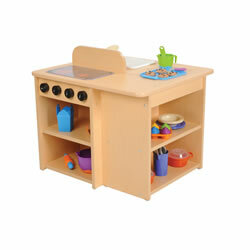 Mounting hardware not included; refer to local building code requirements. 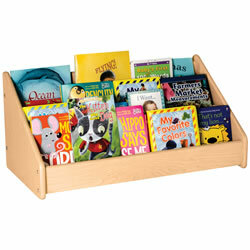 Bins or baskets sold separately. Fully assembled. Measures 19 1/2"H x 48"W x 13"D.